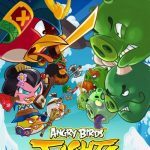 Bad Piggies has been around for a while, but when Rovio released this game, making it available for Android and iOS mobile devices, it was something unique for the maker of the Angry Birds franchise. 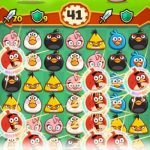 Instead of having players control the birds and having them fight the piggies, Rovio had players helping the bad guys in this game. 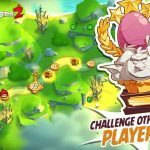 To recap things further, the game has more than 200 levels, with regular updates keeping the title fresh after all those months and years since its release, and if you get three-star levels, you can unlock up to 36 additional levels. And if you need help with that, perhaps you need to check out our Bad Piggies cheats and strategy guide. In Bad Piggies, you won’t get all the components required to help the Piggies out in their quest to make life unbearable for those Angry Birds. Each part will be unlocked as you progress through the game, and before you unlock these parts, we believe you should know how the important ones work. Wheels, for starters, are there to keep the vehicle moving, and the motor helps the vehicle continue moving with momentum. 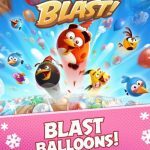 Balloons will propel the Piggies and their ride upwards, bottle rockets move a flying vehicle up, down, left, or right, wooden crates let the Piggies sit down and keep the vehicle balanced, and TNT will create an explosion sending the pigs in various directions. Take note that you can’t get a vehicle moving unless at least one pig is riding. There are several goals that you’ll need to keep in mind when aiming for three-star levels. First off, you should get a pig to the finish line, secondly, you should gather all the star boxes you see, and third, you should finish within the time limit, if applicable. Above, we told you about the important parts you need for the Piggies’ vehicle, but you don’t need to use them all to complete a level. Like it is when you’re playing Angry Birds, there’s more than one way to skin the proverbial cat, meaning more than one way to successfully complete a level. Mechanic Pig can be your lifeline of sorts, as he’s capable of building the best vehicle possible in a certain level. But pay him back once he’s done by sending him to the end of the stage. You only can call on Mechanic Pig so often, and by liking Bad Piggies on Facebook, you’ll have three Mechanic Pigs at your disposal, after which you’ll be required to buy more. With or without Mechanic Pig, it’s always important to build a vehicle that’s durable, one that could survive the trip to the finish line. Consider how in-game physics will affect its movement, and study the map carefully to see if there are any climbs, drops, or rough terrain that could hinder your vehicle.